Our Boys is a positive, practical, down-to-earth guide that outlines what makes boys tick, describes their development from babyhood to childhood to manhood, and is full of great ideas and suggestions. 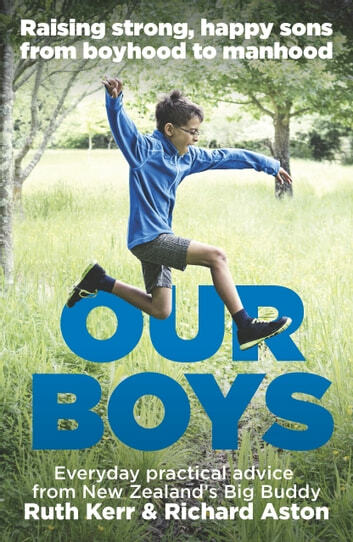 Each chapter focuses on a different age group - the first four years, 4 to 7, 8 to 11, 12 to 17, and 18-plus - detailing how boys grow physically, emotionally and developmentally throughout these stages. Ruth Kerr and Richard Aston have been working with boys for 13 years, matching fatherless boys with male mentors and running a highly successful programme called Big Buddy that helps boys grow and develop into fine young men. They have distilled the wisdom they've gained from working with hundreds of Big Buddy boys and men, as well as from parenting their own children and grandchildren.